Play this amazing game “PUBG” PlayerUnknown’s Battlegrounds which, is a perfect blend of the survival and exploration with last man standing in the gameplay. It was released in December 2017 and was published and developed by PUBG corporation, a subsidiary of South Korean video game company Bluehole. The concept of the game and design led by Brendan Greene. It can be played on various platforms like Microsoft Windows, Android, iOS, Xbox One, PlayStation 4. It is one of the best selling and most played and loved video game of all times with more than 400+ million players. It’s currently running season 5 and soon will come with another season and more smart gameplay. PUBG has been downloaded on iOS and Android 240 million times. In PlayerUnknown’s Battlegrounds, up to one hundred players parachute onto one of the four islands and scavenge for weapons and equipment to kill others while avoiding getting killed themselves. The available safe areas of the game’s map will decrease in size over time. The players caught outside the safe area will get eliminated if not entered in a safe zone in time. The game automatically directs surviving players into tighter areas to force encounters. Approx 227 million monthly players, 87 million daily players play this game. On average it takes 30 minutes to finish the game. At the completion of each round, Players gain in-game currency based on their performance. This currency is used to purchase character, weapon or cosmetic items. In March 2018, a rotating event mode was added. These events change up the normal game rules and help in establishing larger teams, squads and a lot more. The last player or team standing wins the round. 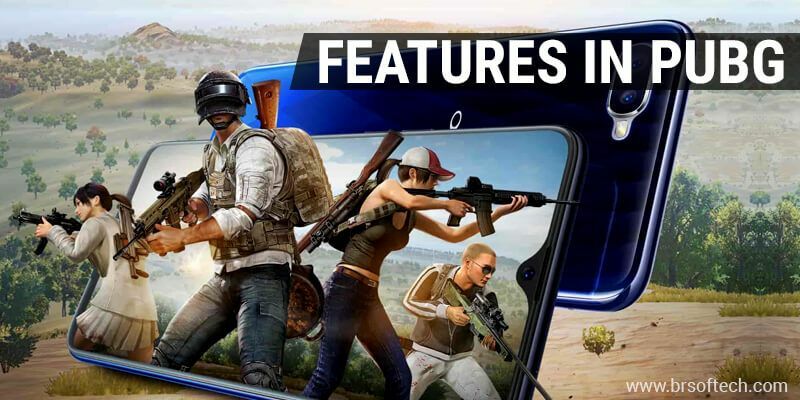 PUBG Mobile is continuously introduced new features and maps in an effort to make it better and more obsessive for gamers. IOS Game Development and Android Game Development taking this game on the next level using advanced technologies. 60 Frames Per Second: – FPS refers to the rapid image update. Its amazing features for gamers who love to play playerUnknown’s battlegrounds. Currently, it’s capped at 30 FPS with the capability of hitting 60 FPS on high-end Apple and Samsung flagship device. 30FPS allow PUBG to support low and mid-range devices. For the competitive multiplayer game gaming at 60 FPS is great as it can improve reaction time while grabbing the attention of gamers from around the world. Mobile Streaming Tool: – Mobile Streaming Tool is the simplest way to broadcast live video from your mobile device or tablet. Currently, the built-in streaming and sharing options in PUBG are very basic. It only allows you to share a screenshot. 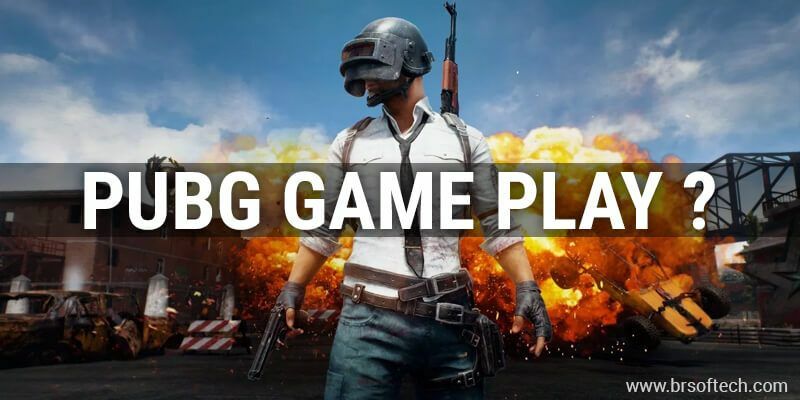 However, a built-in streaming and sharing option would benefit PUBG mobile a lot and will allow gamers to share their gameplay moments. Android Game Development is one of the best solutions for streaming, broadcasting and provide with the advance solution. Bundled Maps: – PUBG has gained a lot of popularity in a short span of time. It can be played on budget devices that do not offer a lot of storage space. To download PUBG one requires enough space with a game size of 1.6GB on Android. It takes a lot of storage space and requires more for maps. If you want to play in different map scenarios than you must download the maps like Sanhok, Miramar, and Vikendi. These maps are not bundled yet with the game which is quite disappointing, but in the future, it will be under consideration. PUBG Mobile Currencies: – This is one of the major change people are waiting for as no one knows the exact use of the currency. This game allows the player to earn money in different ways while playing the game. It offers battle points, silver fragment, unknown cash, and coupons Scraps. With these options, it grabs the attention of millions which, makes it quite obvious that it will be more explanatory in the coming days. Rewarding Game Play: – PUBG is a multiplayer game that gets better with people who are focused on playing and supporting their team. It’s all about effective communication and good sportsmanship which makes the gameplay more rewarding and interesting. By keeping your gameplay clean and communication effective you can earn the rewards and enjoy this multiplayer game. Average amount per day PUBG mobile users spend on the game is $1.1 million. This multiplayer game is the most popular game which is coming with a lot more new features like renting servers, Modding support, the new map, and will allow the player to create their own league with many more additions. 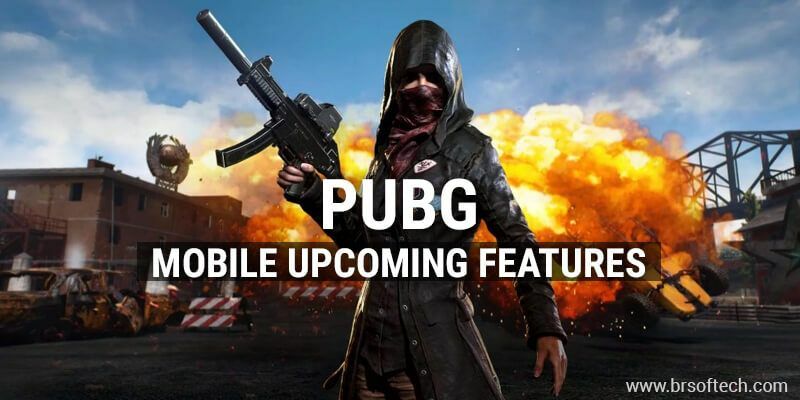 Mobile Application Development Company is working on these additions to help players with improved user experience and great PUBG community support. Cosmetic Items ranging from Jackets, Masks, Shoes, Shirts and a lot more. Military-game gear ranging from helmets, vests, backpacks and a lot more. PUBG Mobile has recently completed a year in the industry. With the immense popularity and great response from gamers, it’s celebrating the first year of success. This rewarding game is truly innovative and addictive for players. It offers an enthralling experience worldwide while making a huge PUBG community. PUBG received 3 awards at the Google Play Awards last year. Not just that, this unstoppable game became the number one game in the app store. To celebrate its anniversary its has released exclusive banner with lobby theme and fresh background music added. Along with that, it has a lot of new items, platinum coupons which can be brought into the game real soon. Other than that there will be more anniversary surprise for gamers with a planned event. The recent update came with the inclusion of the new game mode referred to as Zombie Mode. It has also revealed a new Esports tournament Club Open 2019. PUBG mobile is celebrating one year anniversary with its community that helped it succeed tremendously in the shortest span of time. After winning multiple awards and 200 plus million downloads its getting really popular and proving with the great user experience. To bring more excitement they are introducing a lot more features and events as a part of PUBG Mobile 1st Anniversary Campaign. Yes, for all the PUBG lowers its an exciting news. They are hosting a special event for all the obsessive gamers and increasing enthusiasm. This event is planned to reward players with real-world benefits. 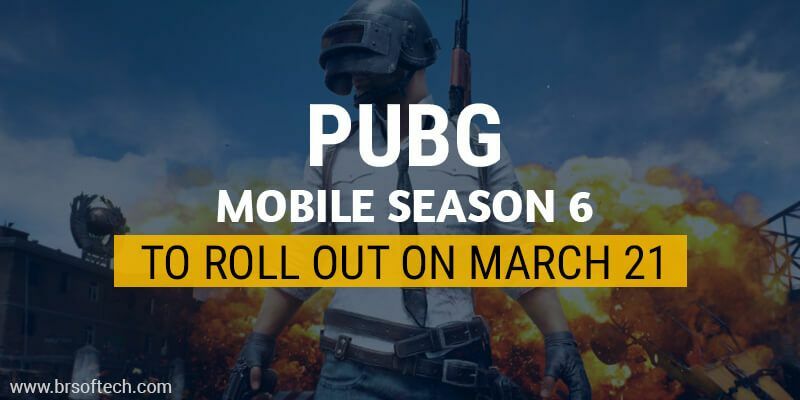 These events PUBG Mobile Club Open 2019 and Oppo PUBG Mobile India Series 2019 are utterly satisfying for players who spend a great amount of time playing this incredible game. These events are a much-needed boost to exports Industry. It’s a great motivation for players who love playing the game and making games by converting great ideas into reality. After a successful season 5, PUBG is now coming up with the new season 6. This upcoming season will come up with significant changes. It will bring new weapons, a new vehicle and a lot more of other new items. If you wish to get an early look at PUBG Season 6, you can simply watch the video shared by one of the most popular gamers Mr. Ghost Gaming on YouTube. Mr. Ghost Gaming has posted 2 new videos which provide an early look and doubles the excitement. In the initial video, you will get to see the promo of PUBG Mobile which includes a number of changes including the entire first-anniversary design. In the latest beta version of the Android platform, the PlayerUnknown’s Battleground will introduce a new rifle which will be found in Vikendi. With the launch of season 6, Scar-L will be replaced with a new 5.6mm rifle which is called the G36C. The gun will support a number of attachments like a Scope, laser light, thumb grip and much more. Quick chat message I got supplies is now pre-selected. You will get to see outfit preview will send a warning when a piece being previewed is hidden by a currently equipped piece. You will also see added, tapping feedback buttons on the main menu. There many more changes which will make PUBG more interesting. Vehicle fuel level has been tuned. Damage outside of safe zones at night has been increased. These dynamic changes will take you on the roll and allow you to face great playing experience. The constant growth of this game is incredible. It’s bringing all-new experience and will eventually become the most favorite game around the world. The persistent efforts they are making to make it a conventional battle royale is incredible.